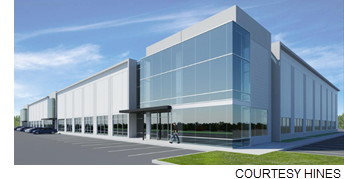 ​​ HOUSTON – Hines purchased 107 acres at the southeast corner of Beltway 8 and Gessner Rd. to develop a new business park. The future Grand National Business Park will include more than 1.5 million sf of industrial/logistics space as well as an amenity retail center and a business-class hotel. ​C​heck out Houston-The Woodlands-Sugar Land Industrial Market Research.